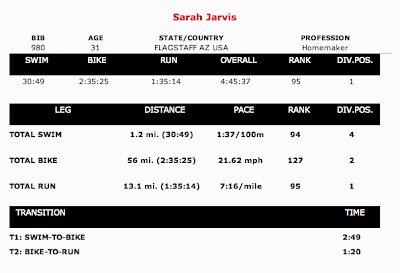 I am super happy to announce that Boise 70.3 was a success! 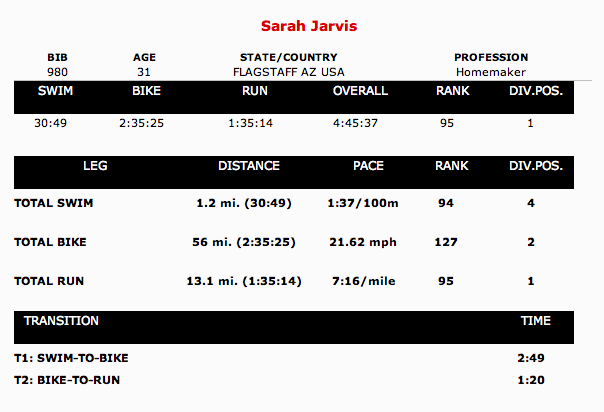 I reached my goal of qualifying for the 70.3 World Championships in Las Vegas. I was also able to win my age group and come in as the 2nd female amateur. This is so exciting for me! I knew that, if everything came together on race day, I would have a pretty good chance of qualifying. But I honestly never thought I would win my age group, let alone come so close to being the top amateur. I loved having so many friends and great fellow athletes from Utah around. Thanks for making this a very special and super fun weekend! You will all be dearly missed when I go back to AZ next week. I will definitely fill you in with all the details later this week. For now, I am back to being a mom and wife. Time to take the kids to the zoo, go to the dentist, hang out with cousins at the park, and run errands on Grandpa's old Huffy. Good times! Congrats!! I'm so happy for you. SO when is the ironman in Vegas? hmm maybe I'll have to go hang out with Melissa and Melanie and cheer you on.....hmm i think this might be a possibility.